Certain patients with primary and secondary liver tumours and can potentially be cured with surgery. Outcomes of patients with colon cancer spread to the liver in particular have improved dramatically in recent years with aggressive surgery and chemotherapy. Patients who may have been told that their tumours cannot be removed are evaluated through a multidisciplinary setting and are sometimes found to actually be good candidates for surgery. With better chemotherapy, imaging and surgical techniques, a patient's tumour that was previously thought not to be removable can sometimes be surgically removed and with excellent results. Resection of a large portion of the liver is possible because the remaining liver grows to compensate for the part that was removed. This determination will be made by Mr Nikfarjam and will be discussed with you in detail at your appointment. In combination with other members of the multi-disciplinary team, Mr Nikfarjam will assess if it is possible to remove the entire tumour or all of the disease while leaving enough liver behind. In some instances it may appear that the disease involves a large majority of your liver, and it may be determined that surgery is impossible. However, sometimes with the combination of chemotherapy to shrink the tumour and portal vein embolisation to help the liver “grow” before the surgery, our surgeons are able to remove all the cancer in the liver. CT scans of a patient's liver tumour shown before (left) and after (right) chemotherapy. Sometimes chemotherapy is used to shrink the tumour in preparation for surgery. 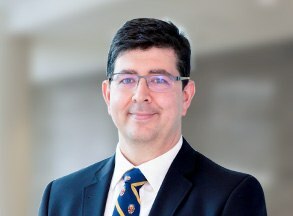 For suitable patients, one can also perform laparoscopic liver tumour removal which involves removing part of the liver with minimally invasive techniques, requiring a smaller incision and providing a quicker recovery. Other innovative surgical techniques that have been widely adopted include surgery to remove some of the masses combined with radio frequency ablation to destroy other masses with heat. In some patients with extensive liver cancer it might be more successful to remove all the lesions over two operations as opposed to one.